Since the show first aired in 2002, Yvette Fielding and the Most Haunted team have been investigating allegedly paranormal activity at some of the UK's most haunted locations, collecting evidence of the strange goings on along the way. Any evidence of the paranormal, is always disputed and divides believers and skeptics. So, it's no surprise that after almost 250 episodes, the show has generated plenty of debate, criticism and controversy. There have been many mediums used in the show over the years, most notably Derek Acorah, but for the last few series a psychic has been noticeably absent from the team and it's all down to a couple of incidents which led Yvette to question their credibility. Yvette explained why, "we no longer use mediums on Most Haunted, I believe that there are people out there who truly are psychic, they truly are spiritual and are mediums as we call them, but I think sadly the majority of people who call themselves psychic and mediums that are on the television, that do theatre shows, that seek money for tickets and so on, I think they're charlatans, they've been found out, they are fake, they are frauds." The most famous of these incidents was in 2005 when the team spent the night at Bodmin Gaol in Cornwall. 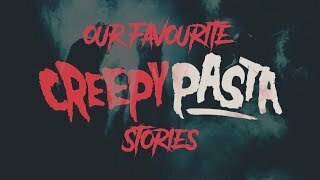 In one of the cells Derek got possessed by a violent spirit who identified himself as a South African jailer called Kreed Kafer. While in the trance, Derek shouted and aggressively knocked over various objects in the museum. However, it was revealed after the show's resident parapsychologist Dr. Ciarán O' Keeffe had planted a note at the location to test Derek's abilities. Yvette revealed the story in an interview, "Ciaran left a piece of paper around with the name 'Kreed Kafer' on it and said, within earshot of Derek, that he was a nasty South African jailor." She added, "when we started filming, Derek decided to get possessed by this fake person. The name is actually an anagram of 'Derek Faker'. We tell people everything is real, then it turns out he was a fake, so he had to go." After six years working on the show, Yvette branded Derek a "fake" and he was subsequently dropped from the show. Yvette said in an interview at a later date, "hopefully by us not having mediums on Most Haunted anymore we'll be able to move forward and bring back some confidence in some people." On the night of Halloween 2015, Most Haunted broadcast live from the infamous poltergeist house, 30 East Drive in Pontefract. It was one of the team's best and most active live shows to date and they were joined on their investigation by, friend of the show, Paul O'Grady. About halfway through the show, there was an exciting moment when the show's producer, Karl Beattie, suddenly called out for the rest of the team. He told his concerned fellow ghost hunters, "something pulled me up the stairs and I couldn't get away from it." The moment wasn't shown live because the cameras were all on Yvette at the time, but the team had placed four static cameras around the house, one of which was pointing at the stairs as this is said to be one of the most active parts of the house. In fact, a young girl from the Pritchard family was dragged up the stairs herself when the activity first started in the house in the 1960s. The locked off camera, which was also being streamed live on the internet, caught the moment when Karl was dragged against his will upstairs. The show's producers were able to play the clip back during the live broadcast and it was actually a pretty chilling moment, which left Karl shaken and shocked. Paul O'Grady said, "I am pretty shocked to tell you the truth, that is pretty shocking. There's no way for him to fake that. To go back like that, he's being pulled." However, there was backlash from skeptical viewers who were watching the live stream of the webcam. The say they saw Karl emerge from the landing with a length of white rope attached to his waist. They claimed that Karl was then pulled by this piece of rope. The show's producers were quick to respond to these concerns. Yvette addressed the criticism just hours after the show on Twitter saying that what viewers mistook for a rope was actually a camera cable, which Karl had tied through a belt loop to avoid a trip hazard. Eventually Karl was forced to make a video explaining the rope/wire incident with the help of one of Most Haunted's camera men, Stuart Torevell. In 2017, the Most Haunted team finally caught a ghost on camera, which Yvette described as the show's "most groundbreaking footage" to date. It was crew members Karl Beattie and Stuart Torevell who caught an eerie figure on camera walking up some steps during a nighttime vigil in part of the derelict stable block at Wentworth Woodhouse, a Grade I listed country house in the village of Wentworth, South Yorkshire. 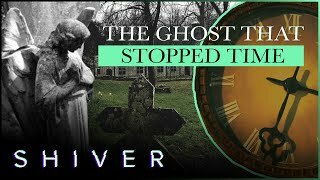 After seeing the footage, Yvette admitted that she actually burst into tears, "I was so excited and overwhelmed with the fact that, all of these years on Most Haunted, to me, that is the best piece of paranormal evidence." Karl had rested the camera just inside a doorway, looking out at a dark corridor when Stuart spotted the figure which was also caught on camera. Believing it to be another member of the team or someone else in the building, Stuart chased after the figure only to find there was no one else on the floor. But since the episode aired, skeptics have also been scrutinising the footage, there has been a lot of debate as to whether the spooky sighting is real evidence of the paranormal or nothing more than television trickery. Rather than shying away from criticism, Yvette decided to address the elephant in the room and made a video statement along with the show's resident skeptic, Glen Hunt. 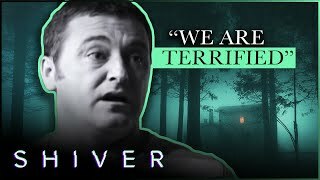 In the clip they talk us through how the ghost was captured and some of their theories on what the apparition might be. Glen starts off by reassuring viewers that the video was captured on a normal television camera and had not been doctored. He goes as far as to show us the raw footage being loaded directly from the camera and played back, proving that the footage "couldn't possibly be tampered with." Many viewers who suggested the footage was faked said that they thought the figure seen walking up the stairs could have been Stuart, but this seemed like an unnecessary complication and as Yvette said herself, "if we were going to fake this, why would we fake it with Stuart?" Glen argues that it can't be Stuart walking up the stairs, although he's out of view behind the camera at the time of the sighting, as soon as the ghost appears he can be seen running in to the shot to chase the figure into the darkness. Yvette explains that she thinks the Wentworth Ghost is a classic example of "stone tape theory," this is a belief that the "stones of a building act as video tape and actually record people and things happening and then play it back," the classic example is Roman soldiers walking through a now-bricked up doorway. The general consensus amongst the Most Haunted team is that the figure caught on camera is in fact a stone tape recording of the show's very own investigator, Stuart Torevell. Yvette says that Stuart "must have only been walking up there moments before, it was replayed to everybody" and captured on camera.